My latest book – in progress – is set in Central Arizona in the 18th century before settlers and prospectors made incursions to Indian lands. This was before Arizona became a state within the USA. 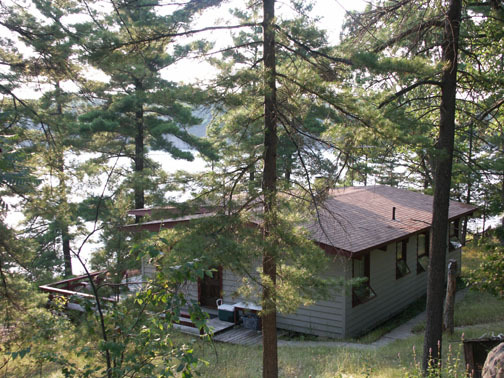 This starting point made the announcement of a Writer’s Retreat inLight Beam at the centre of the Medicine Wheel the spring of 2013 very appealing. 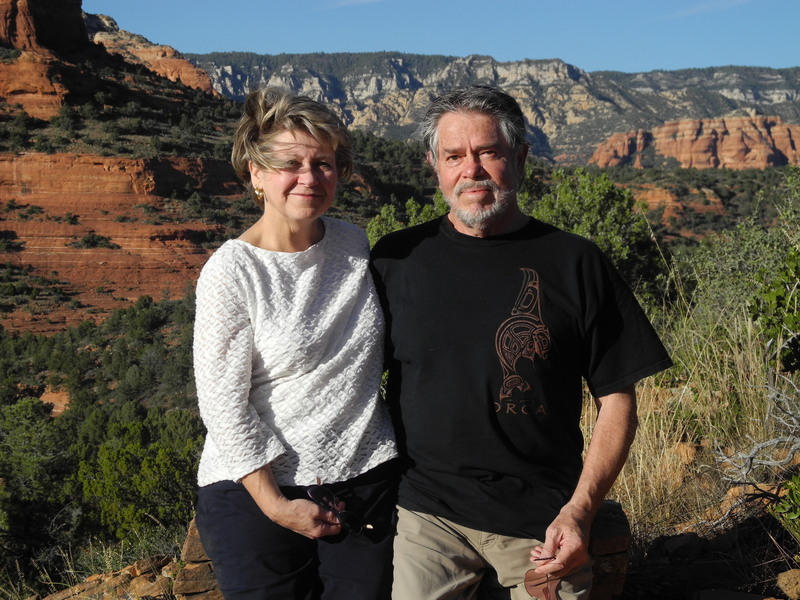 I was no stranger to Sedona and Central Arizona, having made many investigations of the region over the past thirty years. I arrived several days early, prior to the retreat, to visit places that were sacred to me and to soak in the ambience of the region providing the foundation stone for the book. 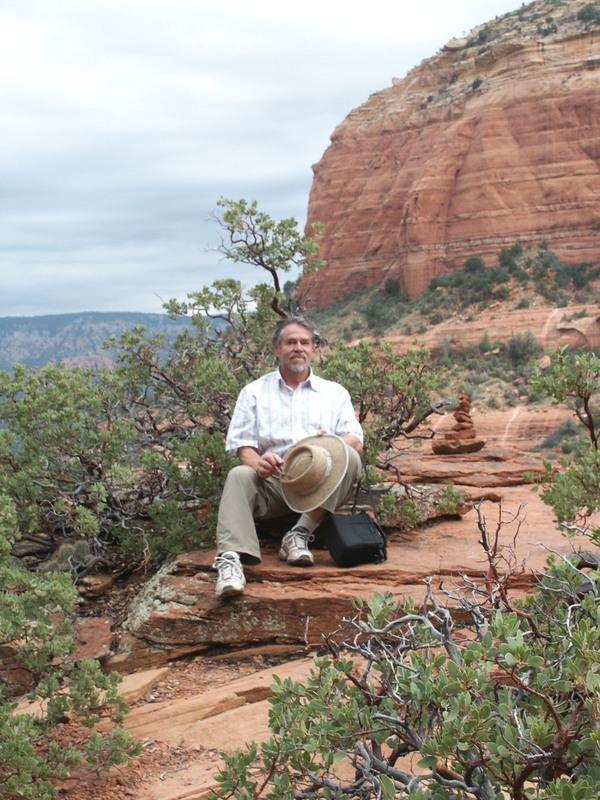 I revised some chapters and intended to visit the sacred canyons. But Joe Biden, VP of the USA was speaking at a conference held in the Enchantment Resort at the head of Boynton Canyon, Security was heavy, and until he left – this region was a no fly zone. On the morning of the retreat there was a window for me to pay an unusual visit to the canyons. Mr. Biden had left the area and I decided to take a helicopter ride to photograph Rainbow Bridge and Boynton Canyon, as both loomed large in my opening chapters. I was staying at Sky Ranch Lodge right next to the airport vortex and the airport itself. I indicated what I wanted to photograph and the pilot kindly made sure the doors were taken off, so I would have a non-restricted field for photography. I had never been in a helicopter before and this scared the hell out of me. 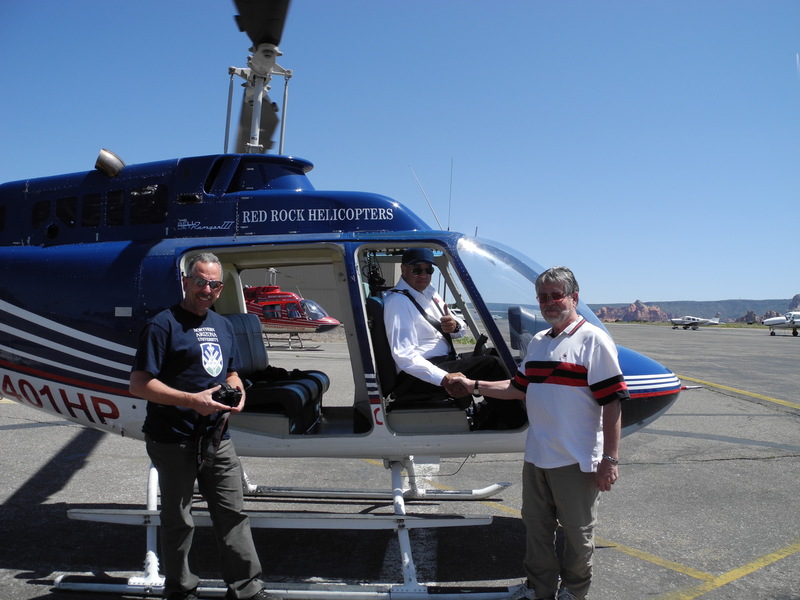 A three strap harness was all that kept me from falling out of the small helicopter into the canyons below. It was totally scary but beyond awesome. I got the photos and a totally new perspective on the canyons. The retreat was exhilarating. A group of ten writers arrived as strangers and left as family. The sheer talent of each writer was admirable, as was the manner in which encouragement and guidance were constructively offered rather than held out as criticism. Courageous prose, great food and much laughter was daily fare. 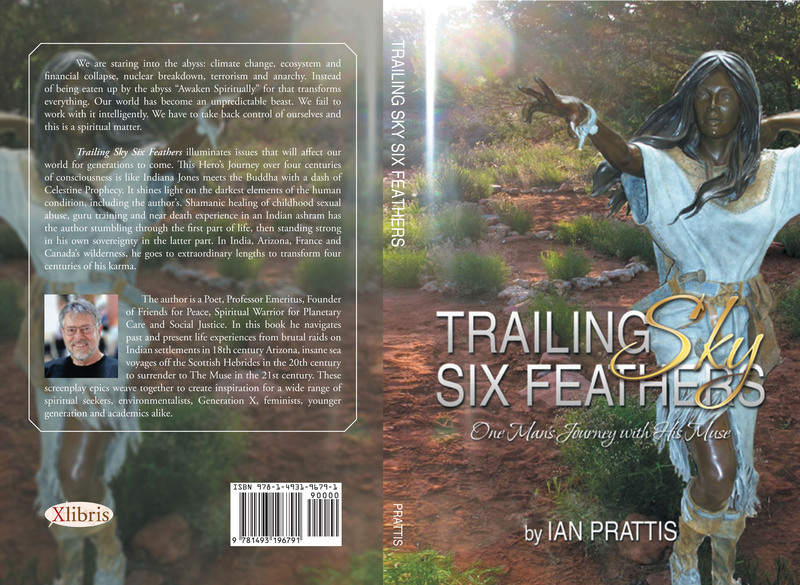 “Trailing Sky Six Feathers: One Man’s Journey with His Muse” is the title of my book. It is a bit like Indiana Jones meets the Buddha with a dash of Celestine Prophecy. The reader is invited to follow my journey to accept The Muse capable of transforming my karma from violence and abuse, to clarity and purpose. An exciting Hero’s Journey, this special and unique adventure shines light on some of the darkest elements of the human condition, especially my own. Written in an authentic and elegant voice, I navigate past and present life experiences over four centuries. From brutal raids on Indian settlements in 18th century Arizona, insane sea voyages off the Scottish Hebrides in the 20th century and finally, to a decisive life moment of surrender to The Muse in the 21st century. These screenplay-worthy epic tales weave together to create inspiration for a wide range of fellow spiritual seekers. 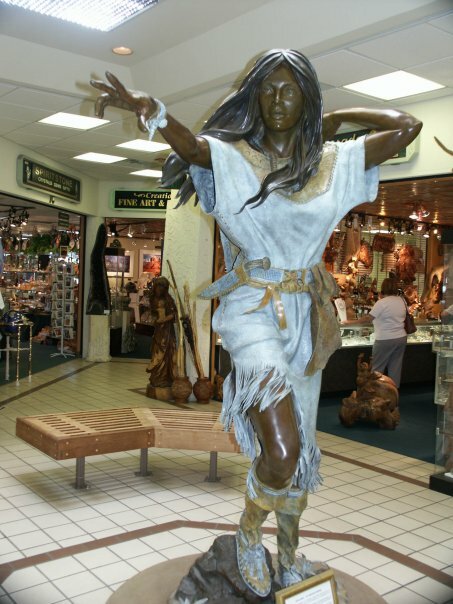 The genre is legend mixed with autobiography and this memoir could be described as “Metaphysical Non-Fiction.” Readers will travel the pages as I learn to embrace The Muse – Trailing Sky Six Feathers – my South Western Native American wife and medicine woman in whose arms I died in 1777. She vows to find me (then known as Eagle Speaker) in a future time, to help me complete a purpose despite insurmountable resistance from my logical mind to remember that pledge in this current lifetime. The journey is both severe and challenging as I navigate shamanic healings of childhood sexual abuse, guru training as well as a near death experience in an Ashram in India. 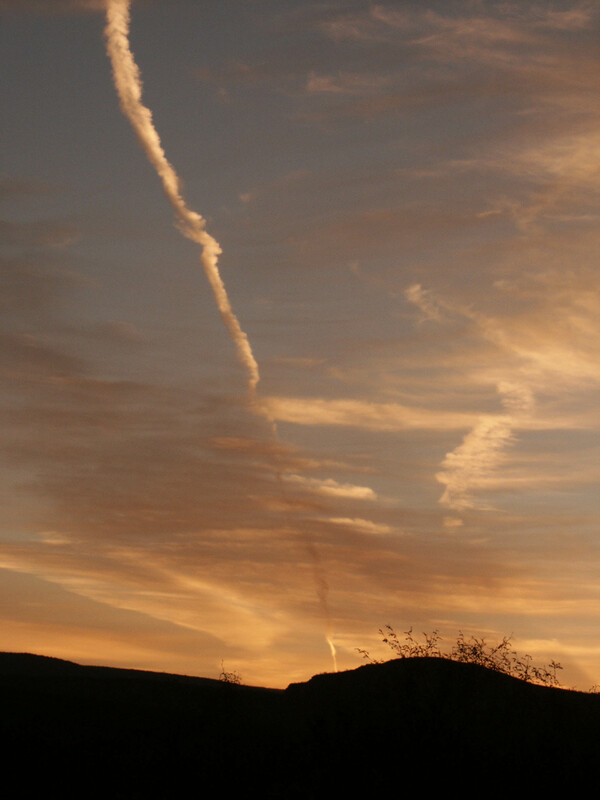 Trailing Sky Six Feathers initiates a dream vision in 2008 that caps my slow process of remembering a clear mosaic of experiences stretching back in time over a rare cycle of two hundred and thirty one years. I sculpt the narrative in a novel way as the person who stumbles through the first part of his life, but then stands strong in his own sovereignty in the latter part. In India, Arizona, France and in Canada’s wilderness, I went to extraordinary lengths to erase and transform natal karma. Guided by four separate shamans, I reconfigured my understanding of time, place, consciousness and even Carl Jung’s psychology, as I chose to listen to the feminine voice of Earth Wisdom rather than to the multitude of competing voices in my deep unconscious. Readers may be inspired as they watch intention and strength of purpose transcend patterns I had carried since childhood. Past life memories finally collide head on with the present, all thanks to the persistence of Trailing Sky Six Feathers, who refused to give up on me. Natal karma is reversed, the internal battles are over as I begin to live life as a Meditation for Gaia. The relentless shadowing of this engaging Muse brings understanding not only to me, but to anyone engaged in overcoming the darkness of their past. Trailing Sky Six Feathers caps my long-term fascination with consciousness. As a Professor of Anthropology and Religion I taught courses on Ecology, Symbols, Engaged Buddhism and Meditation Systems. I am a healer, mentor and educator, able to encourage people through example to find their true nature so that humanity and the world may be renewed. Friends look at my story as a gift to our planet. My purpose in writing it is to share the incredible wealth of knowledge and experience achieved on how to live in harmony not just with ourselves but with the place we call home… Earth. 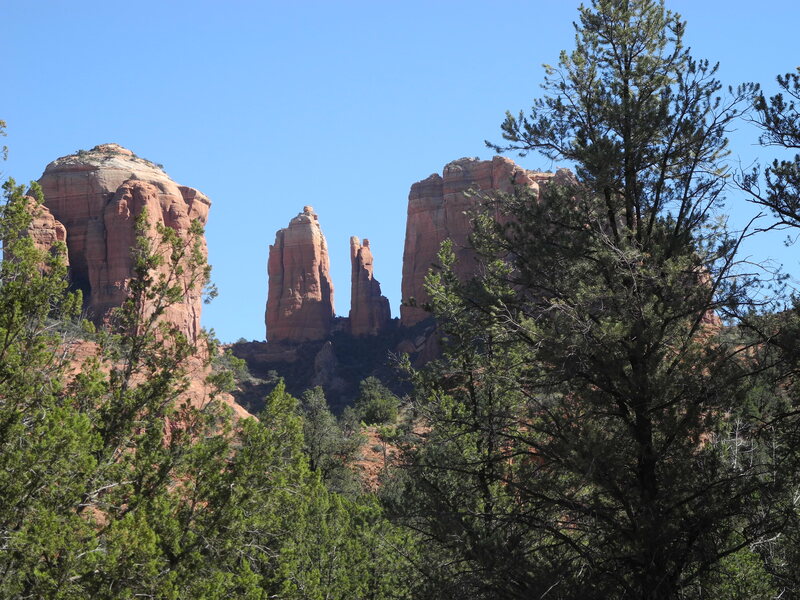 I signed up for the writer’s retreat in Sedona as an opportunity to complete the manuscript, though I was scarcely prepared for the surprises in store. One in particular stands out beyond all others. Our group had a day on the land with a gifted guide, Clint Frakes, visiting ancient rock dwellings and vortexes before a medicine wheel experience. I had been to this wheel before with my wife Carolyn in 2007, though the 2013 experience was very different. Clint asked me to lead my writer friends in through the East door. I smudged myself with the burning sage, took off my shoes to walk barefoot, feeling the earth and small stones throbbing into every step. I walked slowly clockwise round the interior of the wheel – graceful architecture of universal power. 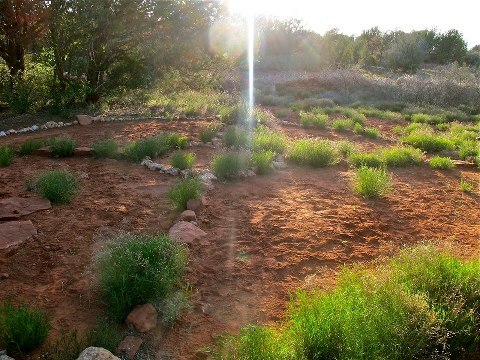 I could smell the burning sage as other friends smudged themselves and followed to find their place within the four quadrants of the medicine wheel. 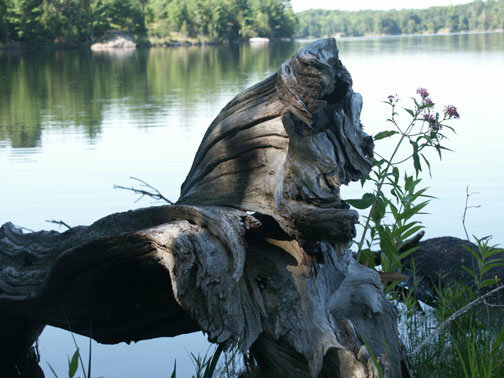 I was slowly pulled to the North cardinal rock, holding in my hand the sacred tobacco. Then did something I had never contemplated in prior medicine wheel ceremonies. I walked slowly to the centre ring of stones and stepped into it and turned to the West. The centre was already occupied by the energy of Trailing Sky Six Feathers and the resonance of her presence pulled me into the mystery and fusion at the centre. I stood there, very still, bringing my hands up to my heart. My new friends were finding their place – two of the women even stepped into the centre to share it with me, which was perfectly OK. Pauline from Boston and Eagle Spirit from New Brunswick were also drawn to the centre – though both stepped out to give me my space. We offered our gratitude in turn with a great dignity and reverence. I held a rattle in my right hand, the tobacco in my left and gave thanks to the Earth Mother and the fusion of mystery at the centre. I chanted the most sacred sounds I knew – the Gayatri Mantra from my guru training in India. The tears rolled down my face. I was deeply moved with gratitude to enter the mystery at the centre of all things. I felt the past of 1777 and Trailing Sky’s fusion with me on Rainbow Bridge in 2007. She had travelled through dimensions, time and space to become one unified being with me. On this day the dimensions did not have to move or open – everything was already in place. In occupying the centre of the wheel, surrounded by a new family of friends, I felt the deepest stillness and silence, remaining quiet about what was happening within me. The connection in my heart grew ever deeper. There are no words to express the gratitude about bringing alive the Muse patiently waiting for me at the centre of the medicine wheel. This was why I had come to Sedona. For the fusion from the central circle of rocks unleashed from the depths of the earth a limitless upwards trajectory. This became a foundation point for everything I may say, do or create from this moment on. Awakening, I realized, is a mere road sign for the way forward. It is how such states are applied and used in the world that matters for our times. New levels of deep knowing, essential for survival arose. Not mine – everyone’s, the planet and just perhaps the entire cosmos. The eruption of energy where I stood at the centre of the wheel was met by the cooling shafts of energy from the divine realms. The two way traffic enveloped me in the forceful energy. To keep me going forward with courage, discernment and fearlessness on behalf of the Earth Mother and to register with this marker for further transition. I know the template, where I it now takes me is the mystery. All that I am describing was captured by the camera of Eagle Spirit. After we had all moved out of the medicine wheel she took photographs of this stone architecture, now empty of everything except a column of light stretching from the centre circle of stones right up into the sky. The column of light was right where I had been standing.